Even if you are a Linux neophyte, there's little doubt you've not heard of Ubuntu. Ubuntu started a revolution in 2004 to make an easy to use Linux based operating system that was both hardware compliant, easy to use and a real alternative to Windows. Time does not stand still however and there are hundreds of other Linux distributions available and in this list I am going to let you know about 10 of the very best Ubuntu alternatives. Why would you want to use any other Linux distribution? Ubuntu is the best isn't it? The truth is that what one person sees as great another person just doesn't work the way they want it to. Maybe the Ubuntu user interface is confusing for you or maybe you want to be able to customize the desktop more than Unity allows you to. Sometimes you are left in a position whereby something like Ubuntu is just too slow on the hardware that you have available to you. Maybe you want a Linux distribution where you can get really hands on and get to the nuts and bolts of what is going on. Whatever your reason for not using Ubuntu this list will help you find the right alternative. This guide provides a number of different options. There will be lightweight options which can run on older hardware, modern distributions with familiar interfaces, Mac Style interfaces, highly customizable distributions and distributions that are not derivative of Ubuntu at all. One common reason people switch from Ubuntu is the Unity desktop environment. While I personally find the Unity desktop very pleasing (the keyboard shortcuts make my life very easy), some people would prefer a more traditional user interface with a panel at the bottom and a menu much like the Windows 7 menu. Linux Mint basically gives you the power of Ubuntu but with that simple user interface called Cinnamon. But don't mistake simple to mean not powerful. The Cinnamon desktop boasts a stylish look and feels and the ability to customize many aspects of the desktop. Linux Mint is derived from Ubuntu and shares the same code base. The main Linux Mint distribution is based on the long-term support release of Ubuntu meaning you have all the goodness of Ubuntu but with an alternative look and feel. Linux Mint has also rebranded and forked a number of key applications so that they can add their own touch to them. There is a full set of applications for everyday use including the LibreOffice suite, the Banshee audio player, Firefox web browser and the Thunderbird email client. Who Is Linux Mint For? People who like the stability of Ubuntu yet want a more traditional user interface. Linux Mint has a number of different flavors including 2 lightweight versions utilizing the MATE and XFCE desktop environments. Using these environments you can use Linux Mint on older computers and they are both highly customizable. There is also a KDE version of Linux Mint available. KDE is a traditional desktop environment which has been dragged kicking and screaming into the 21st century and now looks modern yet familiar. Zorin OS is also based on the Ubuntu LTS release which means you get all the best features of Ubuntu with a unique look and feel. Zorin uses a customized version of the GNOME desktop. This provides a good middle ground between the modern features of the Unity desktop and the traditional features of the Linux Mint Cinnamon desktop. You can customize many of the desktop features using a built in Zorin look changer. Zorin has everything the average person needs to get you started including the Chromium web browser (non-branded Chrome browser), GIMP image editor, LibreOffice office suite, Rhythmbox audio player and PlayOnLinux and WINE. The latest version of Zorin is great. Previously it was very stylish but a little bit buggy. The bugs have been completely ironed out and Zorin is every bit as good as Linux Mint. Zorin is a great alternative to Ubuntu and Linux Mint. It blends a great user interface with the best software that is currently available for Linux. The inclusion of PlayOnLinux and WINE means you have the ability to install and use Windows applications. You may or may not be surprised to know that Ubuntu isn't the only Linux distribution out there and not every distribution is derived from Ubuntu (although many are). CentOS is a community version of the Red Hat Linux distribution which is probably the most profitable version of Linux every produced. The default version of CentOS comes with the GNOME desktop environment which has a modern look and feel much the same as Ubuntu's Unity. CentOS loads into a classic version of the desktop meaning that you have a traditional menu albeit in the top left corner. If you so wish you can switch to the more modern looking version of GNOME. CentOS is as easy to install as Ubuntu although the installer is very different. CentOS uses the Anaconda installer much like the Fedora Linux distribution (installation guide here). The applications installed with CentOS are every bit as good as those installed with Ubuntu. For instance, you get LibreOffice, the Rhythmbox audio player, the Evolution email client (much like Outlook), the Firefox web browser and GNOME boxes which is useful for virtualization. CentOS doesn't have multimedia codecs installed by default although they are relatively easy to obtain and install. Multimedia codecs allow you to play MP3 audio and watch DVDs. Why would you use CentOS over Ubuntu? If you are planning a career in Linux then it is a good idea to take the exams based on Red Hat Linux and so by using CentOS you can get used to the commands that are unique to Red Hat. You might also use CentOS because if you are unhappy in general with the Ubuntu ecosystem. CentOS is for people who want a modern desktop version of Linux but based on Red Hat Linux and not Debian and Ubuntu. You might choose to use CentOS if you are planning on taking Linux exams. Fedora Linux is also based on Red Hat Linux. Its unique selling point is that it always keeps up to date with the latest trends and is often further ahead in terms of features than any other distribution. The downside is that sometimes the stability isn't quite as good. Visit https://getfedora.org/ for the Fedora website. openSUSE has been around a long time, longer than Ubuntu in fact. Tumbleweed is a rolling release distribution meaning that once it is installed you will never have to install another version (sorta kinda the model that Windows 10 is now going down). The leap version of openSUSE follows the traditional model whereby you have to install the latest version when it is released by downloading and installing it. Generally, a release occurs one every 6 months. openSUSE is not based on Debian or Ubuntu in any way and in fact is more aligned to Red Hat in terms of package management. However, openSUSE is a distribution in its own right and its key selling point is stability. openSUSE boasts the ultra-modern GNOME desktop environment and a suite of tools including the FireFox web browser, Evolution email client, GNOME music player and Totem video player. As with CentOS and Fedora, multimedia codecs aren't installed by default however there is a good guide available for finding everything you need. The installer for openSUSE is a bit hit and miss making it the sort of distribution you install as a standalone distribution as opposed to a dual boot solution. openSUSE is for anybody who wants a stable, fully featured, modern Linux desktop operating system and who wants a viable alternative to Ubuntu. Consider Mageia. Mageia is easier to install, utilizes the GNOME desktop environment as well. Mageia comes with a large number of applications pre-installed including GIMP, LibreOffice, FireFox and Evolution. Visit https://www.mageia.org/en-gb/ for the Mageia website. Here's how you know Debian is the grandfather of Linux: Ubuntu is actually based on Debian. The way to install Debian is via a network installer. The benefit of using this installer is that you choose the features of the operating system as you install it. For instance, you can choose to have a suite of desktop applications or have a bare bones operating system. You can choose the desktop environment that is installed. If you want GNOME then you can have GNOME (this is the default by the way). If you prefer KDE then KDE it is. Therein lies the reason why you would choose Debian over other versions of Linux. You choose what you want and you can customize the whole distribution from the moment you start installing it. The Debian tools are very easy to use yet very powerful. I would argue some of the installation steps go too far for the average person but for somebody looking to do something that is out of the ordinary it is perfect. If you choose to install the default set of standard applications then you will get the usual suspects of Firefox, LibreOffice and Rhythmbox. Debian is for people who want to build the system the way they want it from the ground up. You also get to choose which version you want to use from the ultra stable version, the testing version or the modern but maybe less reliable unstable version. Manjaro Linux is definitely one of the best Linux distributions available and I can't recommend it highly enough. If you follow the Linux news, forums and chat rooms long enough you will hear two words again and again, "Arch Linux". Arch Linux is a rolling release distribution which is incredibly powerful. Arch Linux however isn't for the shrinking violet however. You need to have some nifty Linux skills, the willingness to learn and patience. Your reward for using Arch Linux is that you can get a highly customizable system the way you want it that is both modern, performs really well and looks great. So let's skip all the hard stuff and install Manjaro instead. Manjaro takes all the best bits of Arch and makes it available to the normal person. Manjaro is very easy to install and comes with all the applications you would expect. Manjaro is stable yet highly responsive and performs brilliantly. This is a truly viable alternative to Ubuntu that isn't based on Ubuntu. Manjaro is a modern Linux desktop operating system which I argue is suitable for everyone. If you have ever wanted to use Arch Linux yet not been brave enough to give it a go then this is a great way to dip your feet into the water. The obvious alternative is Arch Linux. You should try Arch Linux if you are a Linux enthusiast with time on your hands and a willing to learn something new. The end result will be a modern desktop operating system of your own design. You will also learn a lot on the way. Visit https://www.archlinux.org/ to get Arch. Another alternative is Antergos. Antergos like Manjaro is based on Arch Linux and provides another entry for the average person. Visit https://antergos.com/ to get Antergox. Peppermint OS is another Linux distribution based on Ubuntu's Long Term Support release. It is not in anyway anything to do with Linux Mint except for the obvious inclusion of the word mint in its name. Peppermint is great for both modern and older hardware. It utilizes a mixture of the XFCE and LXDE desktop environment. What you get is a Linux distribution that performs very well yet has all the features of a modern operating system. The best feature of Peppermint, however, is its ability to turn web applications such as Facebook, Gmail and indeed any other website into a desktop application. Peppermint does a great job of blending the best of the cloud with the best of desktop Linux. It is easy to install as it uses the Ubuntu installer and comes with just enough tools to get you started. The ICE tool is the key feature as this is the utility that you use to turn your favorite websites into desktop applications. Peppermint is for everyone, whether you are using an older computer or a more modern one. It is especially useful for people who mainly use the internet when using their computer as it integrates the web into the desktop. Why not also try Chromixium. Chromixium is a clone of the Chrome operating system used on Chromebooks made available as a Linux desktop operating system. Visit https://www.chromixium.org/ for the website. Q4OS hits this list for two reasons and can fit into two categories. The obvious thing to notice is that it can be customized to look like older versions of Windows such as Windows 7 and Windows XP. If you want a Windows look and feel but you want to use the features of Linux then Q4OS lets you do that. On the surface to some this may seem gimmicky but to others it might seem like a good idea. Q4OS is actually brilliant for a completely separate reason. It is incredibly lightweight and works really well on older hardware and netbook. The desktop for Q4OS is Trinity which is a fork of an older version of KDE. It is worth noting that Q4OS is very easy to install, has a lot of applications installed by default and is very easy to use. Not only is Q4OS an alternative to Ubuntu, it is an alternative to Windows and any other desktop operating system. Q4OS is an option for multiple reasons. It is great if you want a Windows look and feel. It is very lightweight and works great on older computers and it is easy to use. There is no distribution that looks more like Windows than Q4OS so I can't suggest anything for that category. However, if you want something lightweight try LXLE which is a Lubuntu based distribution with extra features or Lubuntu which is Ubuntu with the lightweight LXDE desktop. Elementary OS is one of those Linux distributions that just looks beautiful. Every aspect of the Elementary user interface has been designed to pixel precision. For those people who like the look and feel of an OS designed by Apple, this is for you. 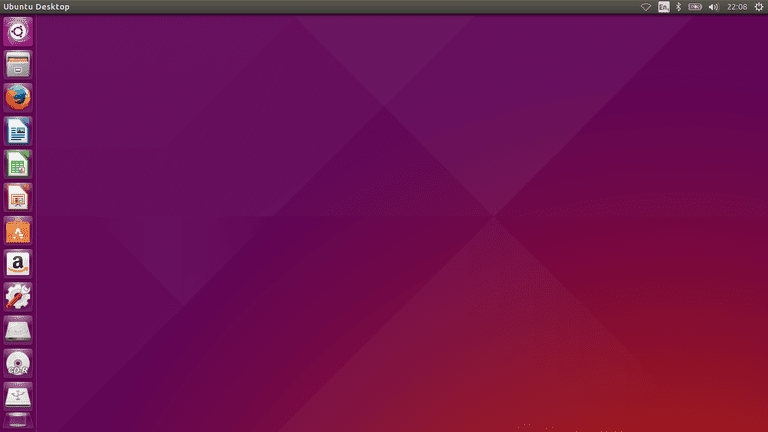 Elementary is based on Ubuntu, but the applications have been carefully chosen to match the style of the distribution. The desktop environment is actually fairly lightweight so the performance is very good. Elementary is for people who like a beautiful and elegant looking desktop. In honesty, it lacks the features of some distributions and there is definitely a style over substance feel about it. SolusOS is another operating system that has a great ergonomic design and it has been built very carefully with quality over quantity the order of the day. Puppy Linux is a personal favorite Linux distribution. It doesn't, however, fit into a category we've covered. Puppy Linux is designed to run from a USB drive as opposed to being fully installed to the hard drive. For that reason, Puppy is incredibly lightweight and the download image is very small. The actual process of setting up the Puppy USB isn't as straight-forward as installing some distributions and performing common tasks such as connecting tot he internet is sometimes hit and miss. For this reason, Puppy comes with dozens of applications and utilities and many of them overlap it terms of what they do. One nice touch is that the programs are named in a charismatic way. For instance, there is Barry's Simple Network Setup and Joe's Window Manager. There are many different versions of Puppy available as the developers provided a great method for people to create their own version. Puppy also has a Slackware or Ubuntu version which makes it possible to use software from the repositories of either system. Puppy is useful as a USB drive version of Linux that you can take anywhere. There are a couple of Puppy alternatives to try such as Simplicity Linux which is a Ubuntu based version of Puppy. You can also try MacPUP which is a Puppy-based distribution with a Mac look and feel. Knoppix is another Linux distribution designed to run from a USB drive but it is not related to Puppy in any way. I have listed 10 core distributions that are viable alternatives to Ubuntu as well as a number of other alternatives. There are however hundreds of Linux distributions available and it is definitely worth researching until you find the one that suits you. I know I have missed some from the list which are equally as credible. For example there is Bodhi Linux, Linux Lite and PCLinuxOS.